Get started in a few minutes. Deploy more, faster! Create individual Cloud Servers or build your own Virtual Datacenter with our Public Cloud. We build, operate and maintain the physical infrastructure that lies beneath our Public Cloud. It enables you to create Cloud Servers on demand, manage network, firewalls, backups, etc., and in that way build your own virtual datacenter. All services are billed based on usage, and you pay only for what you use. No bond is necessary. With Cloud.dk Public Cloud you can scale vCPU, Ram & Disk for your Cloud Servers as needed - both manually or automatically. For example, you can turn down at night when there is less load, and thus save money. 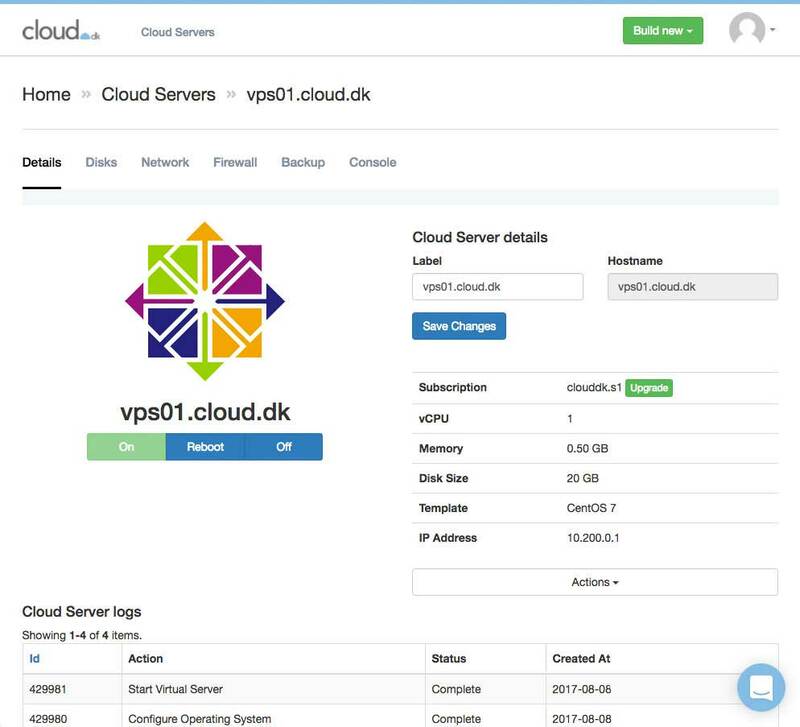 Create individual Cloud Servers or build your virtual datacenter with Cloud.dk Public Cloud. Fully integrated with load balancers as a Service, it allows you both to scale up and out. Create a scalable Cloud Server with 100% SSD of 30 seconds. Scale both up and out, manually or automatically. Cloud.dk's data centers are all located in Denmark . Cloud.dk is 100 % Danish hosting. Powerful API makes it easy to integrate Cloud.dk Public Cloud with other systems. Create both private network for internal traffic (free) and manage publicly available IP addresses. Backup both an entire Cloud Server and individual files / systems.